Meizu has silently announced a new smartphone in the “Meizu A” series. The series is a new one, and Meizu A5 is one of the first devices to be rolled out. With the device specs, it could be said to be an entry-level smartphone. Let us walk through the specs of the Meizu A5 device. The device comes with a metal unibody design. It is also available in different color options including black, gold, and silver. Meizu devices are always known to be very beautiful and this one has not defaulted either. This one Measures 144×70.5×8.3mm, while it weighs in at 140g. The Meizu A5 has a display size of 5-inches. The new smartphone comes with a 1280 × 720 pixel screen resolution. The device has got a decent pixel density of 294 PPI. Sometimes, I’m simply not interested in a 5-inch display, but then. Built on a Quad-core 64-bit MediaTek MT6737 processor with Mali-T720 GPU, the processor speed is 1.3GHz. The device runs on an unspecified Android version (YET) with Flyme OS. For your storage needs, the Meizu A5 has provided a space of 16 GB. While taking care of the smooth running of the device and switching between apps is the 2 GB RAM. The smartphone sports a 8 MP rear camera coming with f/2.0 aperture. While on its front, it has a 5-megapixel front-facing camera with a F/2.2 aperture to take care of selfie needs. With a 3060 mAh battery powerhouse, the device is evidently designed to serve average smartphone users. So heavy users might want to look past this one. Connectivity features include Wi-Fi 802.11 b/g/n, Bluetooth 4.1 and headphone jack. As you would expect, the device supports the 4G LTE network. Virtually all new smartphones do that nowadays. 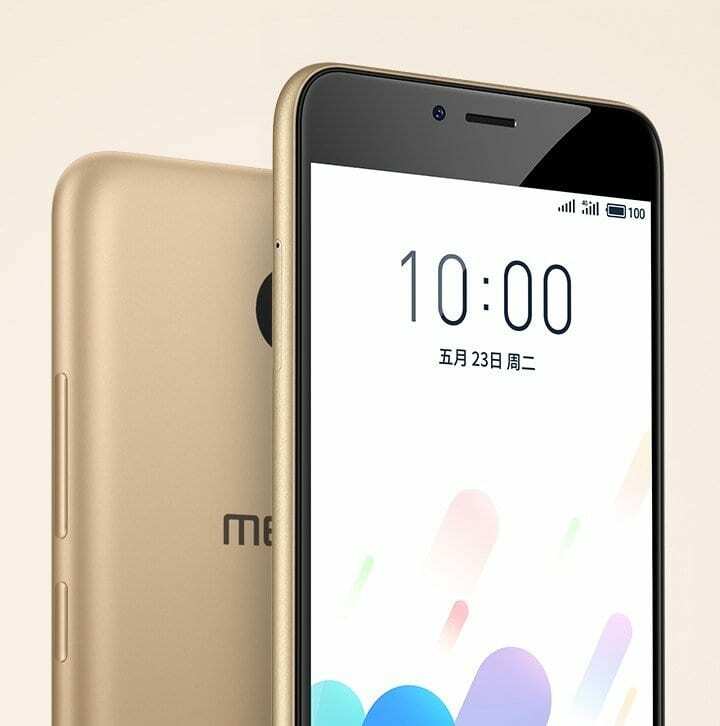 The launch price of the Meizu A5 device was set at $103. The price of the device in Nigeria would range from N30,000 to N40,000. This would depend on your location in the country.